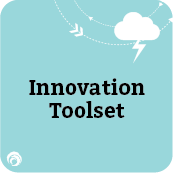 Gain the tool set and skill set necessary for innovation to become a reality in your workplace. An innovative organization is one where managers and staff alike have learned how to approach their work in new ways, with new expectations and with different thinking. 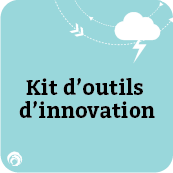 As a follow-up to the Innovation Mindset course, this highly interactive workshop introduces the tool set and skill set necessary for innovation to become a reality in your workplace. Independent research shows that teams who have FourSight thinking preference awareness and process awareness outperform teams who don’t. Through an introduction to the FourSight Thinking System™, participants learn a language and approach to problem solving that enables productive collaboration, increases engagement, and fosters a culture of innovation. By leveraging creative thinking principles, participants learn an “idea protocol” to promote the development and growth of new ideas and creative solutions. During the workshop, participants learn how to use the Innovation Station Launch Pad —a simple, repeatable process to solve problems, meet challenges, and think through challenges and opportunities— and will receive Your Tool Cards, twenty unique creative and critical thinking tools to enhance the FourSight process, focus innovation efforts and drive greater results. Gain clarity around why creativity and innovation are key contributors to high performing organizations. Learn one of the most widely adopted and thoroughly researched creative process models in the world. Understand how to apply the FourSight Thinking System to support creative problem solving and drive innovation.